Situated at the East Lodge of Warrington Cemetery, our family run business gives you the peace of mind that you’re in safe hands. We pride ourselves in upholding our long standing reputation for professionalism and providing a quality and personal service. Here is just a small sample of the kind feedback we receive from our customers. My Family has been using James Hilton’s since the 1990s. The service has always been excellent including the last couple of months since the loss of my youngest sister. They initially indicated it would be the New Year before the stone would be back in place but I received a phone call early this week. I am really pleased with the results. The stonework is of exceptional quality and I am happy to recommend them. We would like to thank you for the beautiful restoration work on my family’s headstone. The headstone was 36 years old and it looks like brand new – absolutely amazing! A big “Thank You” to Pauline who helped me at this sad time after I lost my lovely mam to put together the wording on the headstone. I was treated with respect and made to feel special throughout the procedure. Many thanks to all the staff for the kind and considerate way in which you made a difficult job slightly easier. Having never had to choose a memorial before, you were able to help and advise my mum, ensuring she took her time to make decisions which were hard. When I came and saw the memorial in the cemetery last weekend, myself and all the family can’t express how pleased we were with the final product. Thank you very much as usual for your kindness, sensitivity and repairing my mum and dad’s stone. To all at James Hiltons, thank you for your hard work on our family headstone. Just a line to thank you all for the wonderful job you have done on my new headstone. I am thrilled to bits with it and thank you for having it erected for my sons birthday. A good job all round. 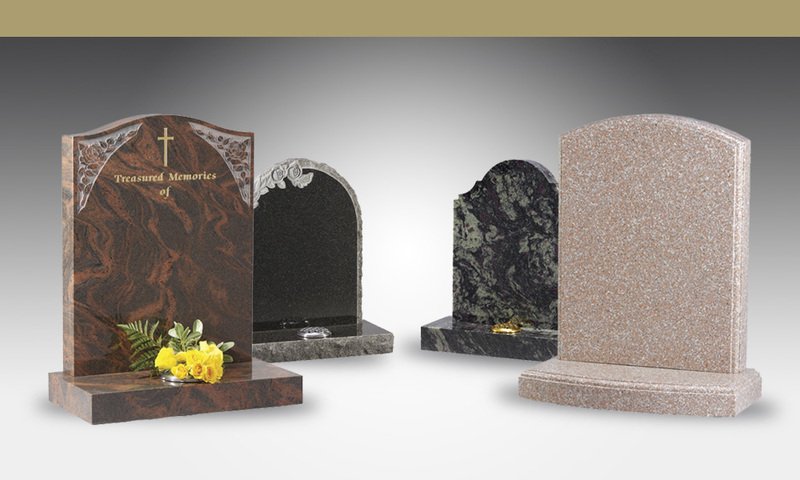 View our memorials and monumental mason products by clicking below.